93% of our students are online. Our students are living in a world of texting, video chats and social networks but many teachers have not become digital ciitzens. Without an understanding of the digital world our students are living we can not be role models and help them to understand both the promises and pitfalls of their media lives. Students are often tech savvy but they are not necessarily smart about their use of technology. Let’s discuss our role in becoming part of the digital world and helping our students to think critically. The Common Sense Media curriculum will be highlighted as well as ideas to bring it into your school or district. It was in the late 70’s and early 80’s when Atari came out with the Lunar Lander and Asteroids games. I was “stoked” that these games represented an environment for understanding inertia and the other laws of motion, and wondered how I could bring that into my middle school classroom. But they were…games, not lessons, so it didn’t happen. Now that so many Maine 7-12 classrooms are 1:1 and kids have very sophisticated gaming systems, that type of environment has become almost second nature to our students. If we look over the standards and pedagogy of successful science classrooms, these same motivators are definitely learning goals, as well. So how can we leverage the tools that we have to enhance the learning of science? And, for that matter, what tools exist on the MLTI MacBook that can apply that leverage? 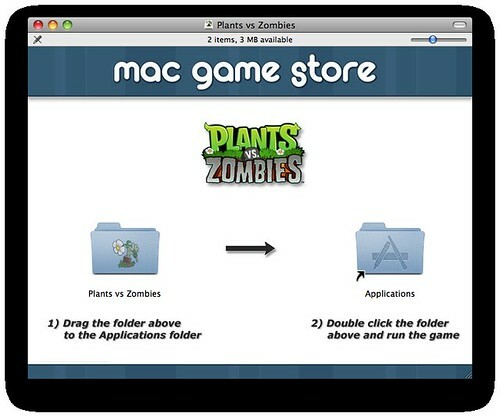 To begin with, Games Launcher offers Wolfquest, which has been covered briefly in another webinar. Also, ME Explorer has been explained in a webinar and a series of iTunes podcasts. And we could consider the student interaction with Data Studio and Logger Pro to address some of the motivators mentioned above. Two applications on the MLTI image from Concord Consortium have been included on the image this year that pack a giant science punch by incorporating the immersive environments and concretizing of abstract concepts found in the gaming world. 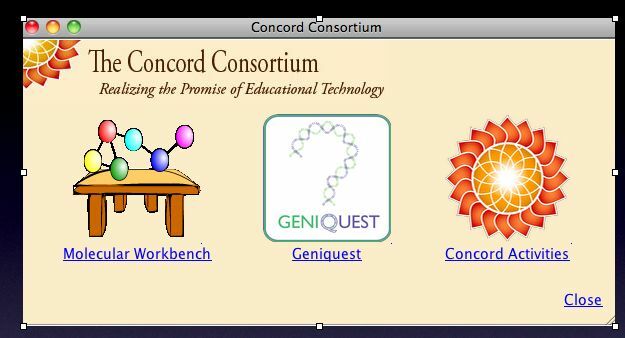 The Concord Consortium folder may be the most powerful and underutilized resource center for science that teachers need to discover. Geniquest starts off with a fairly simple and engaging premise of breeding dragons…yes – dragons. Students move on to investigate more and more complex genetic concepts that build an amazing learning progression that develop a deeper understanding of the big ideas of heredity. Molecular Workbench is both a library containing hundreds of models and activities in chemistry, biology, and physics and it is also a toolbox for building your own custom-made activities with a good how-to manual. Another MLTI tool that has remained fairly dormant is NetLogo. It, too, has an extensive library of models that support deeper understanding of science concepts through inquiry and interactivity. The models are set up using the mathematical constructs of various phenomena, stripping away some of the fuzziness of the real world, so users can focus on the basic interactions. My personal favorite is “Wolf-Sheep Predation” that models the predator-prey relationship. Students can adjust variables like initial populations, reproduction rates and energy accumulation to see what effects become apparent. The results are displayed in pictures, graphs, and numbers, following the good practice of multiple representations. OK, those are a few of the tools on the MLTI image. What about teachers searching the web for appropriate standards-based activities that are appropriate for their curricula? There are a couple of websites that collect and review science resources and align them with learning goals, National Science Education Standards and Project 2061 Benchmarks. One of the is PRISMS from Maine Math and Science Alliance. Another is the National Science Digital Library Science Literacy Strand Map. A visit to PRISMS gives the user a choice of science topics. A click will take you to a page that lists a set of Learning Goals. Pick one, and you will see the review that covers information that parallels lesson planning, and a link to the resource. You get to see the strengths and weakness and suggestions for the teacher to integrate the activity into a lesson. I would promote PRISMS as a way for middle school science teachers to construct well crafted, technology-rich units that offer deeper understanding than textbooks alone. The NSDL Science Literacy Strand Map uses the maps from the AAAS – Project 2061 Atlas of Science Literacy. The Atlas was designed to map out the ideas and skills that lead to literacy in science, mathematics, and technology might develop from kindergarten through 12th grade. NSDL has made the Atlas intereactive, allowing users to choose a major content area, pick a subtopic, and focus in on a particular content topic. Then the map is shown on the screen, with lines linking the specific 9-12 standards, showing the relationship among them and the progression from K to 12 of the content topic. If you click on one of the boxes, you get a list of links to resources about it, as well as references from NSES and Benchmarks. Also included on the map is a tab that opens up to explain the various student misconceptions about the chosen topic. Science teachers and departments would benefit greatly from using the Strand Map to design curriculum that aligns with standards and is sensitive to K-12 learning progressions. Second Life (SL) and other virtual worlds deserve a good look, too. Scilands in SL offers a area that has islands devoted to NASA, NOAA, Exploratorium, genetics, astronomy, and many other science related themes. In many cases, the environment offers novel and interesting ways to interact with science concepts, like walking through an animal cell and learning about the different organelles. EduSim and Science Sim are a couple of other virtual worlds. Finally, I would be remiss if I did not mention PhET as a great resource for ready made, interactive science activities. Users can choose from an amazing number of java applets that can be accessed on the web, or downloaded to be included in NoteShare notebooks or teacher web pages. All of the resources are great, and many include a full lesson plan that can be adapted to individual lessons and units. What standards are being taught/learned? What are the prerequisites needed? How can the activity be differentiated appropriately? Will this be part of an introduction, practice, homework, extension, or elaboration? Will the students engage as individuals, small groups, or whole class? What is your role as a teacher, facilitator, or Socratic coach? How will the learning be assessed? http://commons.wikimedia.org/wiki/File:Greeneyes.jpg - licensed under a Creative Commons Attribution-NonCommercial 2.0 Generic license. Any one of these serves as a teachable definition. But where does visual literacy fit into commonly accepted educational standards? The last webinar on Visualization talked about Maine Learning Results and 21st Century skills, but now we have Common Core for both ELA and Mathematics. Not surprisingly, there are many references to visual skills included in the many standards. In ELA, for both Literature and Information, strand 7 has many references to those skills. For Literature, strand 6 also includes many pointers to visual skills. Say, for instance, you wanted to have students understand Rev Dr Martin Luther King, Jr’s famous “I Have a Dream” speech. You could use YouTube video, text, audio or even a Wordle to see it from different perspectives. In Math, you can see that visuals are important in both Data and Statistics. So, we can feel pretty good that we don’t have to “add” Visual Literacy to an already burgeoning set of standards. Fortunately, for each of the strategies we have technological resources available to us. Reading images – the Internet, iPhoto, PhotoBooth, online book illustrations, etc. Interpreting images – the Internet, iPhoto, PhotoBooth, online book illustrations, etc. Using images – the Internet, iPhoto, PhotoBooth, online book illustrations, Comic Life, Keynote, OmniGraffle, etc. Reconstructing Images – iPhoto, PhotoBooth, Comic Life, Acorn, internet resources like JibJab’s Elf Yourself. etc. Making images – SketchUp, iPhoto, PhotoBooth, Numbers, OmniGraffle, NoteShare’s SketchPad, Acorn, Data Studio, Logger Pro, Grapher, Keynote, etc. What Could America’s Top Models Be Thinking? Numeracy is much more than basic math – it includes the skills necessary to complete a course such as Algebra successfully, but also extends to being able to apply mathematical thinking and knowledge to life and learning. We will see how the tools available on the laptop (including Numbers, Geogebra, and Grapher) can be integrated with a range of successful approaches to teaching mathematical thought, and how students can explore areas of math that have traditionally been viewed as lying beyond middle or high school skillsets. This webinar will be of special relevance to Science and Math teachers; however, since some of the topics covered transcend disciplinary boundaries, we also recommend it for other subject areas.